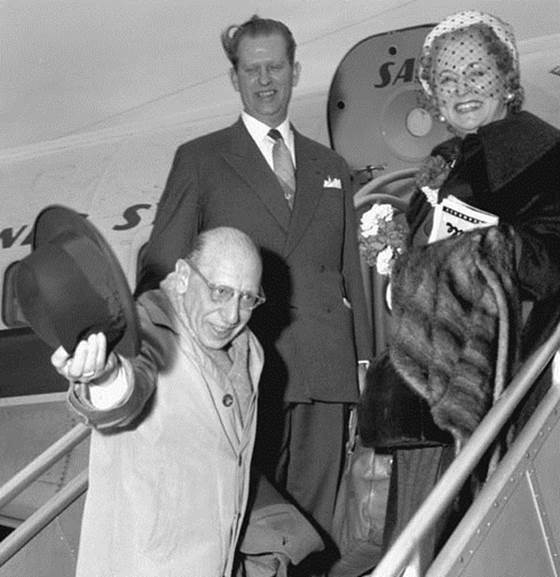 Frankfurt, Germany, May 4, 1955: With a tip of the hat, composer Igor Stravinsky boards a plane for the trip back to the U.S. at the end of his European tour. With him are his wife, Vera, and conductor Robert Craft. Stravinsky's 1913 ballet The Rite of Spring is considered a musical milestone; in the late 1990s, Time picked him as one of the 100 most important people of the 20th century.